In the opening keynote, Tom Ryden, executive director of MassRobotics, took attendees into the future with a look at the coming robotics explosion, expected to be a $27Bil market by 2025. He explained that the biggest trend in manufacturing is “collaborative robots” – where robots are paired up with a human, working side-by-side. He showed examples of robotics in several industries, in particular, examples of the impact of robotics in manufacturing and logistics. He provided and example of how Amazon has revolutionized warehousing with shelves that are robotically brought to the warehouse worker. Tom Ryden of MassRobotics explained that the robotics market is expected to reach $27 Billion by 2025. A look at the amount of data autonomous cars produce. Tom explained that right now, app development is an afterthought – the focus is getting the robot to work. As a result, good software standards or standard bodies have not emerged yet. It appears there is a great opportunity for developers from companies like Alpha Software to influence robotics app development. Project Tetris is the first step in speeding app development for experienced developers and eventually citizen developers who cannot or do not want to code, while providing the full, deep capabilities required by developers building enterprise apps. Today’s reveal represents the Company’s first phase of speeding app development and bringing robust app development capabilities to citizen developers. Bricklin showed the audience how a developer can produce a multi-table rich data capture app with images, audio, offline capability and more in minutes versus competitive products that take weeks to accomplish the same result and even then often produce web apps that do not have the features, functionality or native user experience that Project Tetris apps have. A competitive benchmark against a major low-code competitor was shown, where a developer built a Project Tetris app in 20 minutes, while the in 5 hours the developer was still struggling to build the app and hadn’t yet added key capabilities on the competitive platform. 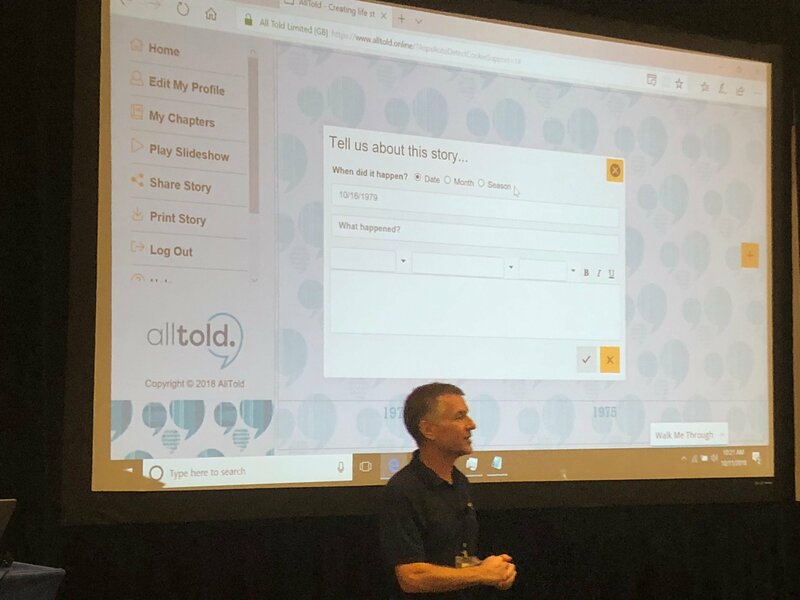 Alpha Software President Selwyn Rabins joined the Project Tetris demonstration to explain the that Project Tetris is perfect for data capture and dispatch apps. Examples included: an app for a repair man dispatched into the field when getting/capturing information at key sites. These are compelling use cases that developers often face. Lokesh Khosla of Magnus Data spoke on the pros and cons of on-prem vs. cloud. He then shared the difference between Traditional BI and Big Data Analytics, summing the difference up as: Traditional BI focuses on diagnostics or “Causation: what happened and why” while Big Data Analytics focuses on “Correlation: new insights and more accurate answers” with focus on predictive analytics, data science and beyond trend analysis. He spoke about the differences in key technologies like MongoDB and Hadoop and introduced concepts such as “Massively Powered Big Data Systems.” Khosla ended the presentation, by explained the role Alpha Anywhere plays in the new big data ecosystem. One view of how Alpha Software fits into the big data world. The morning session closed with Alpha Software VP of Sales Morris Porter and Alpha Software Solutions Engineer Chris Martin providing a humorous skit on the typical challenges that arise when an LOB client asks a developer “how fast will my new app be in the app store?” and the host of questions that come after that. They discussed Alpha Launch for deploying mobile applications without needing to go through the complex process of provisioning profiles and submitting applications for review to public app stores – solving many of these challenges and saving developers significant time. 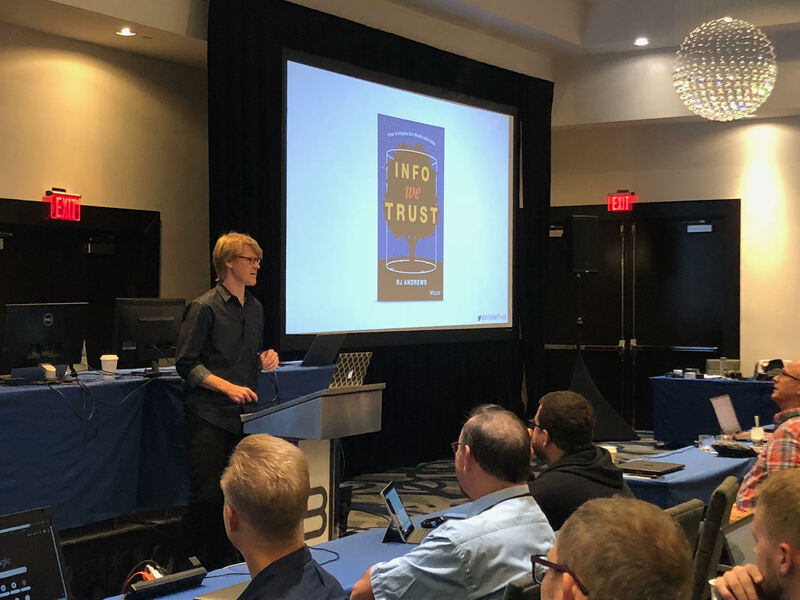 Alpha DevCon continues this afternoon, tomorrow at Friday at the Hotel Viking in Newport, Rhode Island.